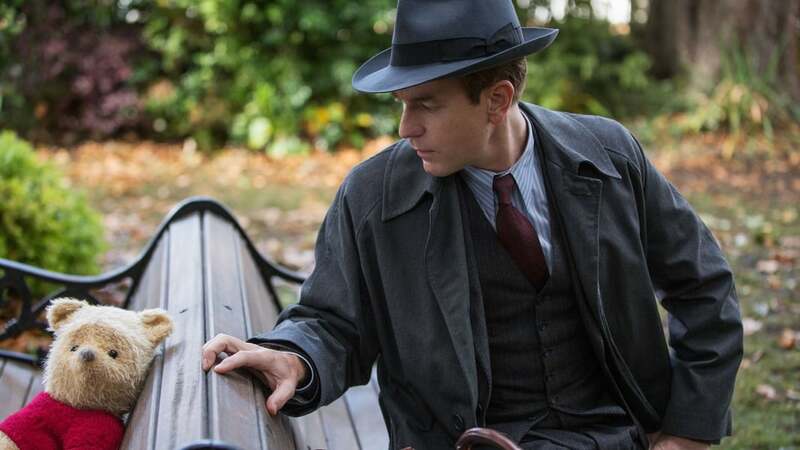 Disney’s Christopher Robin movie, a 2018 follow-up to the Winnie the Pooh stories, sends the loveable bear from Hundred Acre Wood to post-World War II London. The human cast and crew filmed extensively on location and Pooh himself even joined Ewan McGregor, Hayley Atwell and Mark Gatiss on set. Disney’s Christopher Robin was partly filmed at Shepperton Studios, but director Marc Forster put a lot of emphasis on location shoots filming in London, East Sussex, Kent and County Durham. Finding the right locations to bring 1949 London back to life was part of the challenge. But bringing Disney’s animated Winnie the Pooh into a live action film that makes extensive use of location filming added another complication. Some spots were captured for CGI, to let the animated characters walk on very real streets, and the crew came up with a clever but simple way of getting the actors to connect with their fuzzy co-stars. Viewers are in for an extra treat when they see the finished results. Jim Cummings returns as the voice of Winnie the Pooh – a role he’s played since the 1980s, when Disney came up with a string of new adventures for the nursery pals. Some of the filming locations might just look familiar too. Ashdown Forest was AA Milne’s ‘real’ Hundred Acre Wood, and Winnie the Pooh illustrator EH Shepard sketched there. It’s already appeared as Hundred Acre Wood in 2017’s Goodbye Christopher Robin, and for 2018’s Christopher Robin, production designer Emma Williams and location manager Emma Pill visited Ashdown in search of inspiration. The forest in the south of England plays itself in the movie, but it wasn’t the only Christopher Robin Hundred Acre Wood filming location. Scenes were also shot in Windsor Great Park, which is practically on the doorstep of Windsor Castle and full of woodland where a boy and his bear could explore. The Royal Hospital Chelsea is Disney’s Christopher Robin boarding school location. The grand entrance is the Figure Court’s main portico, and the young Christopher Robin and his mother are seen talking under the colonnade. Prolific architect Sir Christopher Wren created the Royal Hospital building in the late 17th Century, and the features seen onscreen were part of his original design. Its hint of a military appearance is no accident – the building was intended as a home for former soldiers in the Armed Forces and still houses the Chelsea Pensioners to this day. Charles II commissioned the building to fill the gap in care which was left by the closure of the monasteries under Henry VIII’s reign. Pooh tracks down his old friend on a park bench in the city. Christopher Robin’s London garden square filming location is actually Merrick Square in Southwark, where the cast and crew shot scenes over four days in late 2017. The quiet 19th Century locale looks unchanged by time and in fact, the central beds of the garden were restored by the Museum of Garden History in 2000. Christopher Robin’s house filming location can be found on the same square, and is seen throughout the movie. Morocco Street, Leathermarket and Bermondsey Street nearby also appear onscreen in CGI-ed form – they were processed with LIDAR scanning so that the Hundred Acre Wood animals could be let loose. Further street scenes were filmed in Bloomsbury, just around the corner from Euston Station, with the area getting a historical makeover. Karen Everett – CEO, FilmFixer. Look out for the understated Georgian street. Many of the houses and old-fashioned shop front facades feature geometric railings that blend with the film’s Art Deco style. You’ll also see a network of historical red brick buildings – in reality, they are part of the centuries-old Inns of Court. The Tudor buildings of Middle Temple Lane survived the Great Fire of London, while their neighbours in Inner Temple Lane shows traces of Jacobean and Victorian architecture. They’re reached by a mysterious-looking Georgian archway leading off Fleet Street just before it becomes the Strand. Westminster’s Great Smith Street and Great College Street also provided Disney’s Christopher Robin with street scene filming locations. They’re another glimpse of old London, this time just around the corner from Westminster Abbey and Big Ben. Some of their buildings are private homes, though as you’d expect they don’t come cheap. 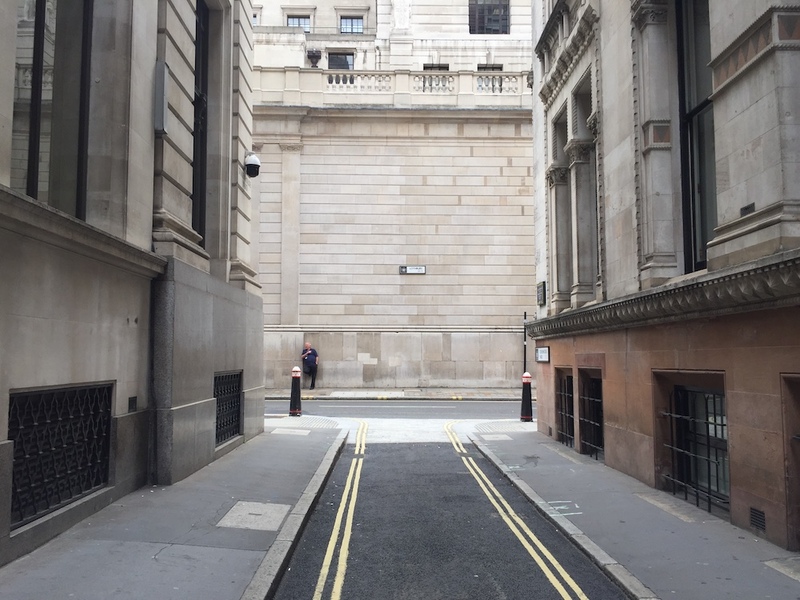 The street where Christopher Robin and Pooh talk in the red phone box (and surprise several passers-by) is Lothbury in the City of London, just around the corner from the Bank of England. The round windows visible along one side of the street belong to St Margaret’s Church Later in the film the street is seen again, when Piglet flies past a Lothbury office building during the car chase. The cast and crew also shot a few metres away on Lambeth Bridge to film Christopher Robin’s journey to work by red double decker bus. Completed in 1932, the bridge stands at the House of Lords end of the Houses of Parliament – relatively close to the area where Christopher Robin and Winnie the Pooh are seen talking in a red phone box, in London terms. It’s recognisable by the red paintwork around its arches and on the latticework (a reference to the red seats in the House of Lords) but you might know it better from its cameos in Harry Potter and the Prisoner of Azkaban and SPECTRE. 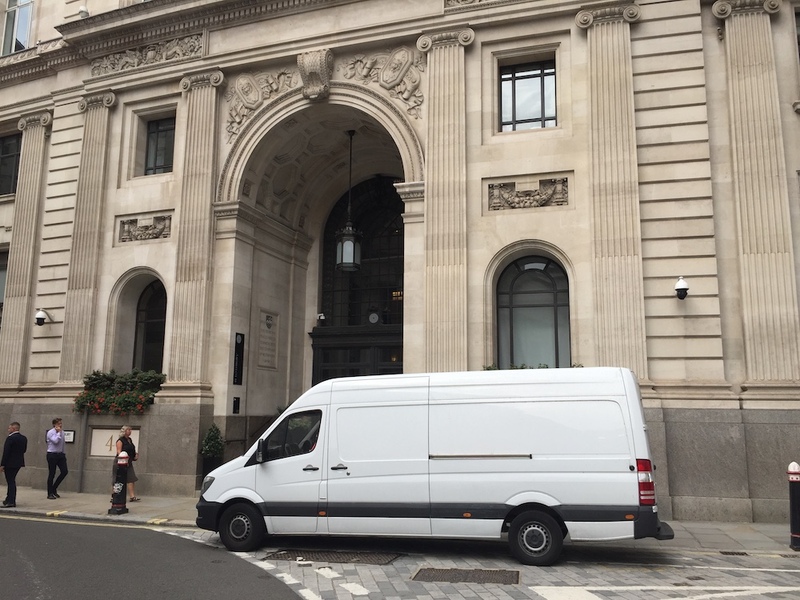 In the heart of Bloomsbury, the exterior of Senate House provides Christopher Robin’s Winslow Enterprises location and an Art Deco backdrop for the movie’s most action-packed scene. To capture the Christopher Robin car chase filming location at its quietest, the cast and crew set up on a Sunday in late 2017. You won’t miss this imposing white building onscreen – it’s so grand it looks like a set or CGI, but in fact the special effects team had to reduce Senate House’s towering height. The 1930s masterpiece was built for the University of London, who are based there to this day. But by 1949 when the movie is set, Senate House had already been left part-completed by the outbreak of WWII, turned over to the government, and bombed in the Blitz. It had only been returned to the public in 1945, making this area an interesting one for a film about rediscovering an old way of life. Christopher Robin’s Winslow Enterprises filming location is surprisingly low-key despite its Art Deco interiors. Built in 1935, Hornsey Town Hall was Haringey’s council building for its first few decades, but eventually fell into sporadic use. It’s got a long association with the arts though, and is set to continue as a revamped arts centre after renovations are complete. Parts of the building are now privately owned apartments. Disney’s Winnie the Pooh follow-up isn’t the first production to make use of its striking design – this former administrative building is a regular on the big and small screens. It was featured heavily in the BBC alternative history drama SS-GB (also set post-WWII). De-Lovely, Netflix’s The Crown and ITV’s Whitechapel have shot scenes inside its Art Deco walls and Bohemian Rhapsody, the 2018 Freddie Mercury biopic, used Hornsey Town Hall as a filming location. Christopher Robin’s London train station location looks the part, with cast iron beams and glass criss-crossing above the platforms. In fact, the production team put in weeks of work to send a former boat train terminal back in time to capture these railway station shots. Train tracks used to run the length of Dover Cruise Terminal 1, which started life as the Railway station at Dover Western Docks over a hundred years ago. In September 2017, Disney’s Christopher Robin filled the terminal with 1940s shops, steam trains and 400 extras from the Dover area in full period dress. Using such an unusual location gave the production team the kind of free reign that isn’t usually possible in a city centre station, with all the scale of a transport hub. Christopher Robin’s Sussex railway station filming location is near Ashdown Forest on the Bluebell Railway route, putting the railway in classic AA Milne territory. The small station where the characters board the train to London is actually one of the closest stations to the real Hundred Acre Wood at Ashdown Forest, Sheffield Park. And the same station is used for the platforms, the ticket window and the station entrance. 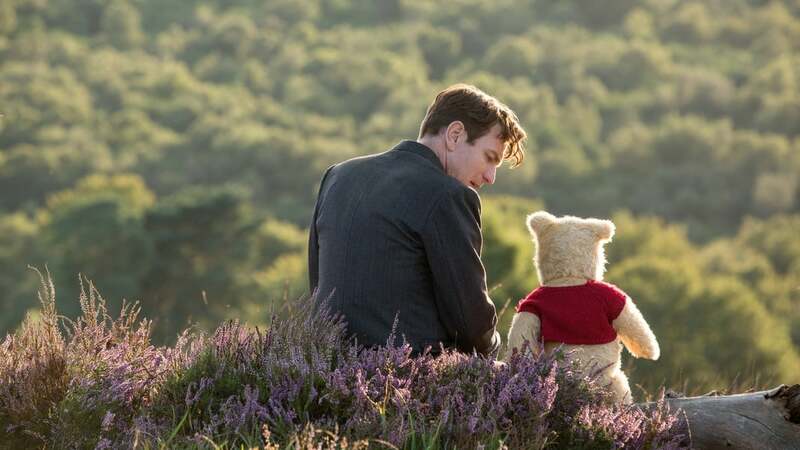 East Sussex’s heritage train line is also visible in scenes of Christopher Robin and Pooh on the train – look for the shots of the loveable bear enjoying the scenery while his companion aims for a quiet commute. It’s easy to visit if you want to have a vintage train ride of your own. Steam trains run on dates throughout the year (and take a look at the special Afternoon Tea Train if you want to make an event of it). Heading further afield, the crew pitched up at County Durham’s Hownsgill Viaduct. The top of its distinctive arches pass 46 metres above the valley’s woodland canopy, and it’s not only just striking to look at. It’s also accessible as a walking and cycling route as part of the Waskerley Railway Path.